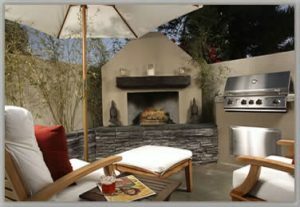 From natural stone to a wide variety of paver systems, Metric Concrete Construction & Design Inc. offers hardscaping designs and installations such as brick pavers, patios, sidewalks, driveways, retaining walls, fire pits, fire places and seat walls as well as outdoor kitchens, bars, grills, and landscape lighting. We have designed a variety of hardscapes in the Deleaware VAlley area and can help you to select the materials and design elements that works best with your budget. A well-constructed hardscapes will not only add beauty to your home but also can serve a variety of functions while adding to your home’s value.